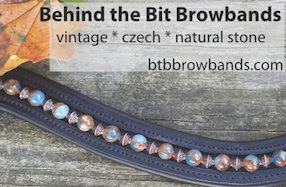 Behind the Bit: Husbands -- get her something shiny! Husbands -- get her something shiny! Men, we may say this. And in one sense we mean it. But really we want something that sparkles, and we want something horsey. And you can make it happen in one gift!